Hi Friend! We want to help people eat healthy at home *and* at work, and we know that many local companies are equally interested in helping their team members be healthy and happy. 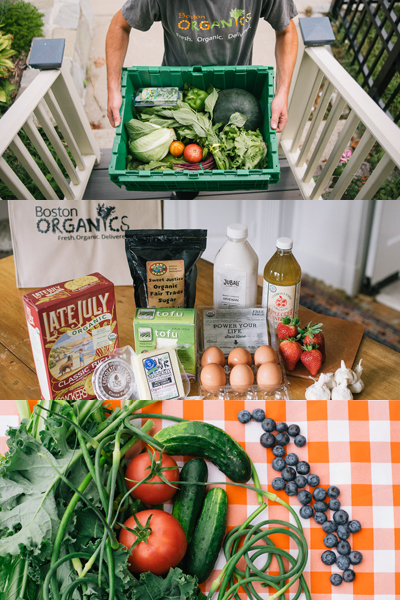 If you work in an office that gets regular deliveries of organic food from Boston Organics, then you save on every delivery we make to your home. Fill out this short form (below) and we'll send you two promo codes that your team members can use to get 5% off every delivery for the rest of the year PLUS $10 off their first two deliveries from Boston Organics. It's easy and convenient -- We deliver to your door. There's no commitment necessary -- You pay as you go, with no contracts or cancellation fees. Everything is certified organic -- Ensuring a healthier you and a healthier planet. Satisfaction every box -- Manage your produce preferences and receive produce you like! In addition to the promo codes, we'll email you a poster that you can hang in your break room, as well as some suggested language for an email that you can send to your employees to let them know about this benefit.